Register to Vote | A.R.T. Register to Vote at A.R.T. The A.R.T. Ticket Services Office and reception desk at the Loeb Drama Center and OBERON will carry voter registration forms through the October 17 registration deadline. Drop by our building and speak with a representative to obtain registration forms for the Commonwealth of Massachusetts. We’ll even provide a pre-stamped envelope for you to mail it in! During performances of The Black Clown, A.R.T. representatives will be in the lobby one hour prior to curtain to assist patrons registering to vote. Whether you are attending a performance or not, drop-in to obtain information and find out how you can run your own voter registration drive! Further information about elections in Massachusetts, including a direct link to register to vote online, can be found on the Secretary of the Commonwealth’s website. 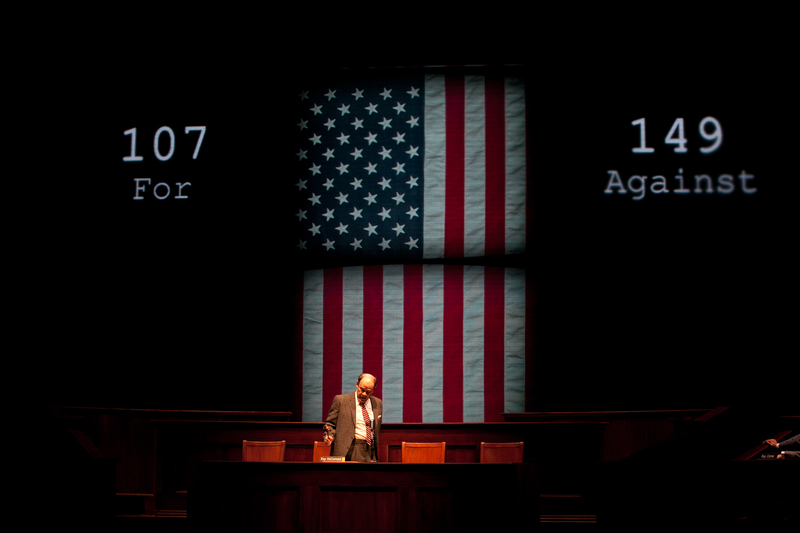 #PlayOurPart is a national, nonpartisan movement to increase voter participation by registering voters in theater lobbies led by Playwrights Horizons in NYC. #BeltTheVote is a nonpartisan social media campaign designed to inspire America’s theater community to vote on November 6, 2018! With the support of Broadway Cares/Equity Fights AIDS and in partnership with When We All Vote, #BeltTheVote is making sure that every theater fan, professional, and student is registered to vote! National Voter Registration Day: Act Up & Vote! To celebrate National Voter Registration Day, actors from Central Square Theater will perform a staged reading of a new play, Act Up & Vote!, focused on voting and civic engagement and written by local playwright Betsy Bard. Following the performance, Peter De Guzman from CIRCLE at Tufts University will facilitate a talkback with the actors, creative team, and audience on salient themes in the performance and surrounding voting issues.